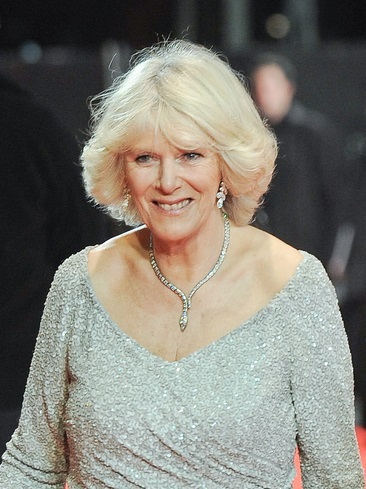 Place of Birth: King’s College Hospital, Lambeth, London, England, U.K.
Camilla, Duchess of Cornwall is the wife of Charles, Prince of Wales, the heir apparent to the British throne. Her stepchildren are Prince William, Duke of Cambridge and Prince Harry, Duke of Sussex. The Duchess is the daughter of Rosalind Shand (born Rosalind Maud Cubitt) and Bruce Middleton Hope Shand, a British Army officer. She has two children with her former husband, British Army officer Andrew Parker Bowles. The Duchess’s paternal grandfather was Philip Morton Shand, a journalist, businessperson, pomologist, architecture critic, and wine and food writer (the son of Alexander Faulkner Shand, a writer and barrister, and of Augusta Mary Coates). Philip was born in Kensington, London. Alexander was the son of Hugh Morton Shand, who was born in Glasgow, Scotland, and of Edrica Faulkner, who was born in Florence, Italy. Augusta was the daughter of Charles Coates and Sarah Clegg Hope. The Duchess’s paternal grandmother was Edith Marguerite Harrington (the daughter of George Woods Harrington and Alice Edith Stillman). The Duchess’s grandmother Edith was born in Fulham, London. George was the son of Henry Harrington and Eliza Woods. Alice was the daughter of Frederick Stillman and Ann Endle/Endell. The Duchess’s maternal grandfather was Roland Calvert Cubitt, 3rd Baron Ashcombe (the son of Henry Cubitt, 2nd Baron Ashcombe, and of Maud Marianne Calvert). Roland was born in St. George Hanover Square, London. Baron Henry was the son of George Cubitt, 1st Baron Ashcombe, and of Laura Joyce. Maud was the daughter of Archibald Motteux/Monteaux Calvert and Constance Maria Georgianna/Georgiana/Georgina Peters. The Duchess’s maternal grandmother was Sonia Rosemary Keppel (the daughter of George Keppel, a prominent soldier, and of Alice Frederica Edmonstone, a society hostess). Sonia was born in Marylebone, London. George was the son of William Coutts Keppel, 7th Earl of Albemarle, a soldier and politician, and of Sophia Mary MacNab/McNab, who was born in Hamilton, Ontario, Canada, and whose father, Sir Allan Napier MacNab, 1st Baronet, was Prime Minister of Upper Canada, from 1854 to 1856. Alice was born in Duntreath Castle, Loch Lomond, Scotland, and was the daughter of Sir William Edmonstone, 4th Baronet, a naval commander, courtier, and politician, and of Mary Elizabeth Parsons.